Question: how many eye makeup products do you use for your daily look? I'm not talking evening party looks, but which products you're actually using early in the morning when you're half asleep, sipping coffee and cursing that dreadful early wakeup call. There was a brief period when I first started commuting for work where I was all about the well coordinated multiple shade eye look, but for the past years I've been struggling through those early mornings using as little product as possible. 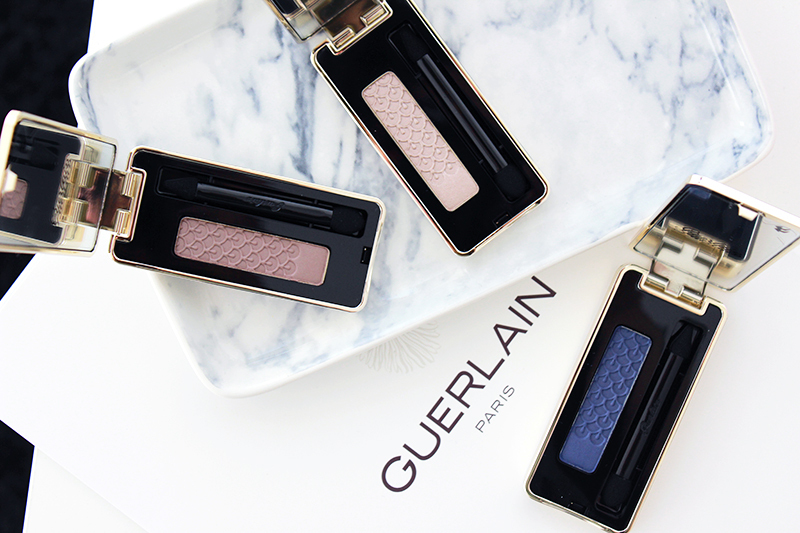 I've been using mainly cream products for this as it's the easiest way to go, but Guerlain is now introducing new powder mono eyeshadows as they feel like they understand us aint-no-morning-person girls. They've launched 12 shades of the Eyeshadow Mono, all meant to be used on their own although of course you can mix & match and combine as you wish. 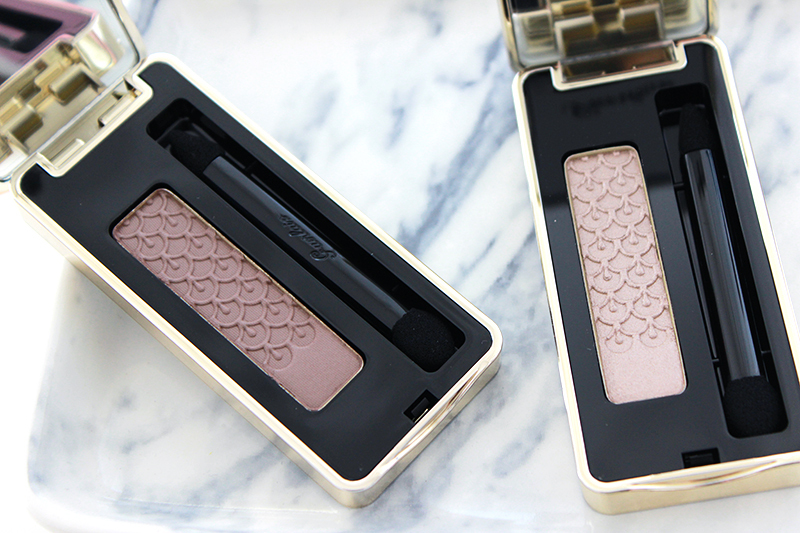 The eyeshadow's come in quite hefty gold packaging and have that pretty pattern in the product that's been featured on the most recent eyeshadow quads too. The quality and texture of the eyeshadows seem to be quite different throughout the collection: the shimmery eyeshadow I have is a little powdery but still vibrant, both matte eyeshadows seem quite creamy but do differ in intensity when applied to the eyes. I'd definitely advise to look up swatches or try products out in store if you have a chance! 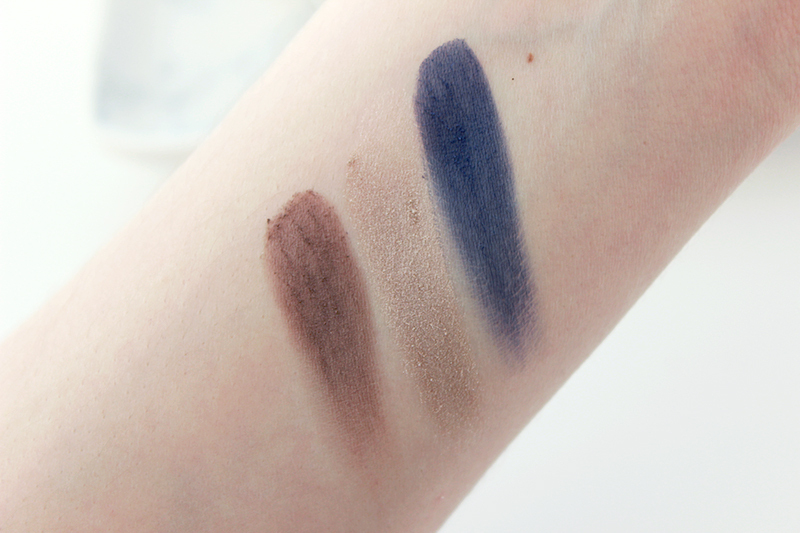 I'm not too fond of blue eyeshadows so I've naturally been mostly suing Brownie & Clyde and Taupe Secret. Both eyeshadows also work together perfectly, which is a little against the philosophy of this new launch but still ever so pretty. Brownie & Clyde is a beautiful warm matte brown shade that is just wow - it's so seriously pretty and right up my alley. Taupe Secret is a shimmery eyeshadow that has a little bit of fall-out as it's powdery, so I'd definitely recommend to use a good base product underneath your eye look. I always use MAC paint pots, FYI. 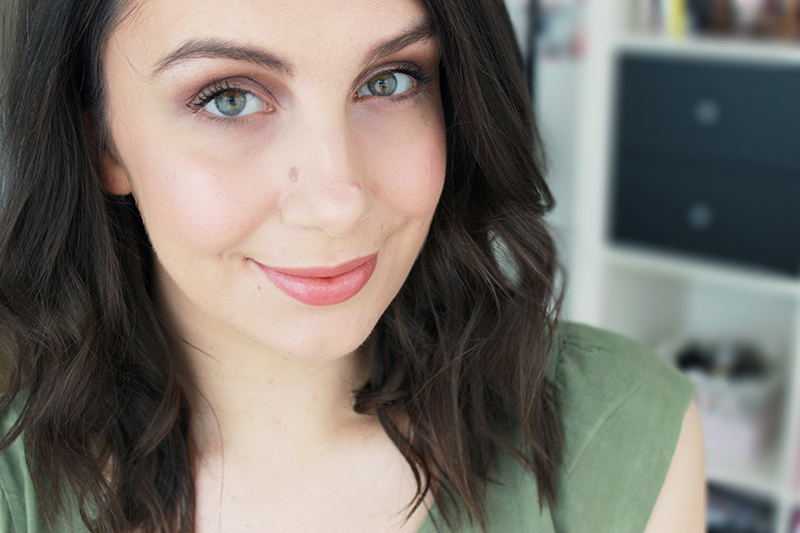 Et voila, a rare full face picture on the blog. This is how I like to wear my makeup daily, it's very laid back and not too precise. I used Brownie & Clyde here, combined with Taupe Secret. It's pretty natural and subtle as you can see, you could build up pigmentation but for daily looks I find this just about perfect. I can't for the life of me remember what else I had rocking on my face in this picture (seriously, someone teach me how to be be organised when taking pics! ), but I'm pretty sure that that wonderful glow on my cheeks is thanks to my beloved Bobbi Brown Shimmer Brick in Pink Quartz. So do you absolutely need one or more of these new mono's? It depends. Brownie & Clyde and Taupe Secret have definitely found a spot into my makeup drawer and will be used in the future, although I will need to use a primer and watch out for glitter fall out. Take your time to test the shades if you can, although Brownie & Clyde already has my seal of approval. Taupe Secret kinda does too, although it does have some flaws.